Finally, today the players were greeted in the glamourous offices of "SOCAR-Georgia" - the company which sponsors the Georgian chess federation and in particular, has funded the development of women's chess in the countriy. "And what is that tricolour on the trophy? - asked a voice from the hall. "Can't it be taken off?". It turns out not - a red, white and blue ribbon remained firmly attached to it, as a decoration. The hall contained not just the players, but guests, the press and company employees. The players received bouquets and the latest i-phones. The organiser of the event, SOCAR President Mahir Mammadov was awarded by chess federation boss Gia Giorgadze the soccer-style title "World Champions 2015". "You are a member of our team, after all!" Salome Melia, Bela Khotenashvili, Nino Batsiashvili, Meri Arabidze. Needless to say, the girls are lucky that they have such support. However, as Mammadov pointed out, the Georgian women won the Olympiad in 2008, even without the help of SOCAR, and in the period 1992-1996, when the "old guard" led by Chiburdanidze won three Olympiads in a row, "without needing any help at all". Incidentally, none of those present at today's ceremony current champions are yet familiar with the taste of Olympad victory (the only one of the 2008 team, Lela Javakhishvili, could not come). In this regard, Mahir urged the girls to show everything that they can, at the next Olympiad in Baku. "In Batumi you will also win," - he encouraged, but immediately corrected himself: "Although in chess, national walls tend to interfere ..."
The SOCAR boss personally awarded each player flowers and a goody-bag. The cup is in the hands of the captain, David Jojua and trainer Elizbar Ubilava. Another press interview. How many have there been..? Signed souvenirs will remain in the office as a sweet memory. You can see that a buffet awaited the players after the ceremony. The SOCAR building is huge by Georgian standards and worth a separate excursion. But today we end with a glimpse of the seventh floor. Beauty uponbeauty: the table, Nana Alexandria, the view from the window... A new crop of local strawberries. Anotehr legend: ex-world champion Maia Chiburdanidze. 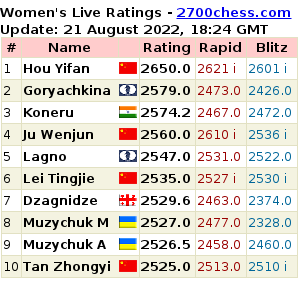 Next to her a grandmaster Tamaz Giorgadze. 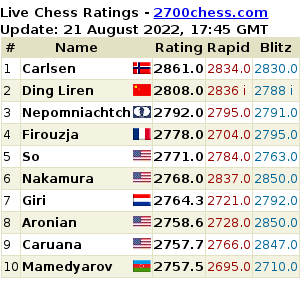 You won't believe it, but Anand has already caught Carlsen. I saw it with my own eyes, and was even involved in the event. I did not manage to photograph the exact moment, because at the time, I was sitting in Anand's car. But take my word for it: Carlsen as always, walked to the tournament hall, whilst Anand quitely drove with his whole team and the security people.